BACK BY POPULAR DEMAND: The boys are back! 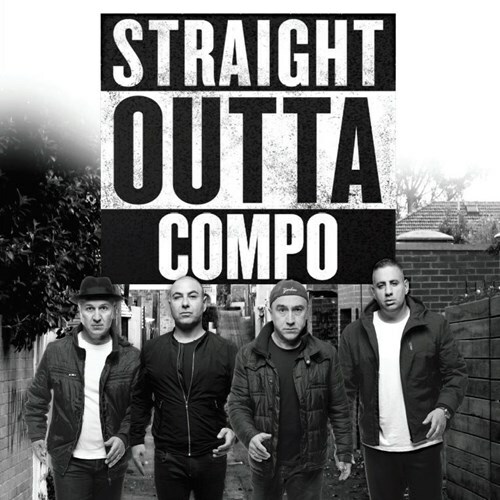 Straight Outta Compo is coming back to the Arkaba for TWO NIGHTS ONLY in June 2018! Yes, 2018, not 2017 compo fans! Award winning producer Joe Avati has put together another show starring the guys from Here Come The Habibs and Fat Pizza (Rob and Tahir), plus George Kapiniaris and Joe Avati himself. These four outstanding comedians promise to deliver a packed show full of stand up, sketches, songs, video and the usual surprises. Make a night of it, don't miss the hilarious, brand new show, Straight Outta Compo, featuring some of Australia's most successful comedians. Tickets $49.50 + $2.50 booking fee.